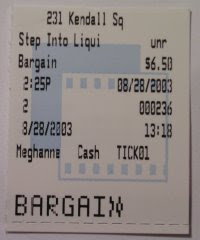 I watched Step Into Liquid this afternoon, my first matinee of the year. I have read a few reviews in which the director Dana Brown was taken to task for making the movie too preachy or for adding too "religious" a gloss on this sport. I disagree. This is a movie that is filled with joy. "Step Into Liquid" has beautiful images. It is also well-paced. You moved easily from one band of surfers to another. From Wisconsin, to New Zealand, to Hawaii, and of course, to California. From rank amateurs, and people who have never stepped onto a wave, to professionals, men and women, boys and girls. I'm glad I saw the movie in the day; it would have been jarring to step out of the theater into night, after basking in the brilliant sun soaked images. The slow-motion cinematography heightened the grace and talent and skill that these surfers brought to each ride. The choice music also added to the impact of the images. The documentary spent time on people well-versed in the sport, and each of them gave a good sense of what the fuss was all about. Every one of them was stoked. When I lived in Southern California, going to the beach was part of the weekend ritual. I rented small body boards, so I could glide along the smaller waves. I can easily recollect the thrill of catching a good wave, hitting the board at just the right angle so I could ride it all the way to sand. The wave propelled me forward, with a speed I couldn't control. Everything around me rushed past in a blur, all the sound seemingly hushed by the wind and gurgling water. I remember the feeling: pure joy.